« Is competition always a pre-requisite for efficiency? What does Hoy No Circula in Mexico and Cane Toads in Australia have in common? The law of unintended consequences. This says that the actions of people – and especially of government – often have effects that are unanticipated or not intended. Unintended consequences are usually seen as being negative such as when an intended solution perversely makes a problem worse, or when although the solution produces the desired result, there are also detrimental side effects. However they can have a positive, unexpected benefit, and because of this they are often seen as the result of luck or serendipity. An extreme case of Murphy’s Law. 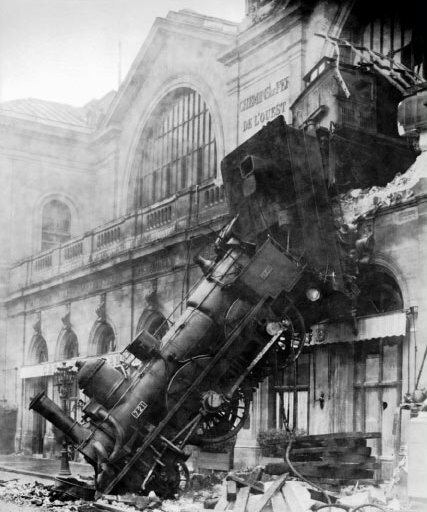 In 1895, an express train overran a buffer stop in Montparnasse Station in Paris, France due to a faulty brake. It careened across the station concourse, crashed through a thick wall, shot across a terrace and plummeted onto the Place de Rennes below. Unfortunately although the law of unintended consequences should be seen as a warning to tread carefully when it comes to intervening in complex issues, politicians and popular opinion often don’t seem to learn this. The adage that ‘anything that can go wrong, will go wrong’, known as Murphy’s law, should remind us against believing that we can fully control events. What are the causes of harmful unintended consequences? They have been categorised: perverse incentives, human stupidity, self-deception, incorrect analysis of a problem, immediacy of interest (ie. someone wants the intended consequence of an action so much that they purposefully choose to ignore any unintended effects), failure to account for human nature, and the world’s inherent complexity. But even with foresight, economics seems beset with unintended consequences. Raise taxes, and more will find ways to avoid it. Guarantee bail outs and banks will take more risks (this is called a moral hazard). Reduce taxes for fuel-efficient cars and there will be slide in tax revenue as more cars will be made that use less fuel. Is this why it is said that if you ask five economists the same question you will get five different answers? Examples of unintended consequences are found in every sphere of human endeavour. Here are some of them. In 1830, Wellington’s government passed the Beerhouse Act, which abolished the beer tax and allowed any ratepayer to sell beer on payment of an annual fee of two guineas (£2.05). The idea was to encourage the drinking of beer, and stimulate the depressed and potentially subversive agricultural sector, at the expense of spirits, most commonly associated with excessive consumption in the disreputable ‘gin palaces’. However beer house numbers exploded with more than 33,000 vendors having paid their two guineas by 1832. Sometimes called ‘Tom and Jerry’ shops or ‘tiddlywinks’, they sprang up in alleyways and cellars and were impossible to police. Many beerhouses became the haunt of criminals, prostitutes and some even became brothels. It was only with the Wine and Beer House Act of 1869 that the law was changed to bring licensing back under the control of the local justices. Following the establishment in Ireland of the Cork Total Abstinence Society in 1838 by a priest, Theobald Mathew, hundreds of thousands of people took the ‘pledge’ and vowed never to drink alcohol again. Although there was a dramatic reduction in crime, the campaign had the unforeseen consequence of an increase in the consumption of diethyl ether, a chemical much more dangerous than alcohol, by those seeking to become intoxicated without breaking the letter of their pledge. In 1989 in Mexico City, a mandatory Hoy No Circula (‘one day without a car’) programme was introduced to lower pollution levels, whereby it was prohibited to drive cars on alternate days based on their license plate numbers. This resulted in households buying additional vehicles, often cheaper but more polluting older cars, that they could use on the off-day, and soon the number of cars on the streets was the same as before, and pollution levels rose instead of falling. One of the photos of her school dinner posted by Martha Payne from Lochgilphead on her blog Never Seconds, where she rated the dinners out of ten. This led to her being told by her head teacher, after a headline in a newspaper, that she could not take any more photos. 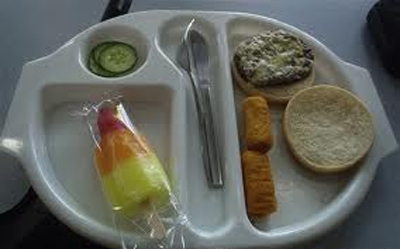 In June 2012, Argyll and Bute council in Scotland banned a nine-year-old primary school pupil from updating her blog with unflattering photos of lunchtime meals served in the school’s canteen. Due to the media furor that followed the ban, the blog, which was already popular, received a huge number of views. Within days, the council revoked the ban under immense public pressure. This is an example of what is called the Streisand effect, after the American entertainer Barbra Streisand, whose attempt in 2003 to suppress photographs of her residence in Malibu, California, inadvertently created wide publicity. Trying to hide or censor a piece of information often has the unintended consequence of publicising the information more widely. When the sale of alcohol was prohibited in the United States in 1920, this had the effect of consolidating the hold of large-scale organized crime over the illegal alcohol industry, including Mafia families who made fortunes from ‘bootlegging’. Police officers and prohibition agents alike were frequently tempted by bribes; millions of Americans were criminalised; court rooms and jails overflowed. And the federal government and individual states lost the vast amount of revenue that came from alcohol taxes. Read more about the unintended consequences of Prohibition here. The global ‘War on Drugs’ intended to prevent the production, supply and use of illegal drugs, has created a highly profitable black market, the growth of organised crime, a continual increase in the cost of enforcement, individual drug users being criminalised rather than treated, and the diversion of agriculture in third-world countries from producing food to the growing of crops that are the source of the drugs. The ‘bedroom tax’ introduced by the UK coalition government in April 2013 whereby the housing benefit of tenants deemed to have one or more spare bedrooms is reduced, has already produced its share of unintended consequences. Due to the lack of smaller sized properties in the public sector, some tenants have had to move into more expensive private housing for which they can claim more in housing benefit, and hence this will reduce the government’s planned savings. In addition, housing associations are reported as having a growing number of larger homes that they cannot let because families are wary of being caught by the tax, and there have been suggestions that homes may be demolished to make way for homes with fewer bedrooms. Between 1979 and 1989, the United States’ Central Intelligence Agency (CIA) covertly funded the Mujahideen, militant Islamic groups, in Afghanistan who were fighting government and Soviet troops. After the Soviet withdrawal however, disunity amongst the Mujahideen lead to the emergence of the Taliban, who provided a refuge for Al-Qaeda. 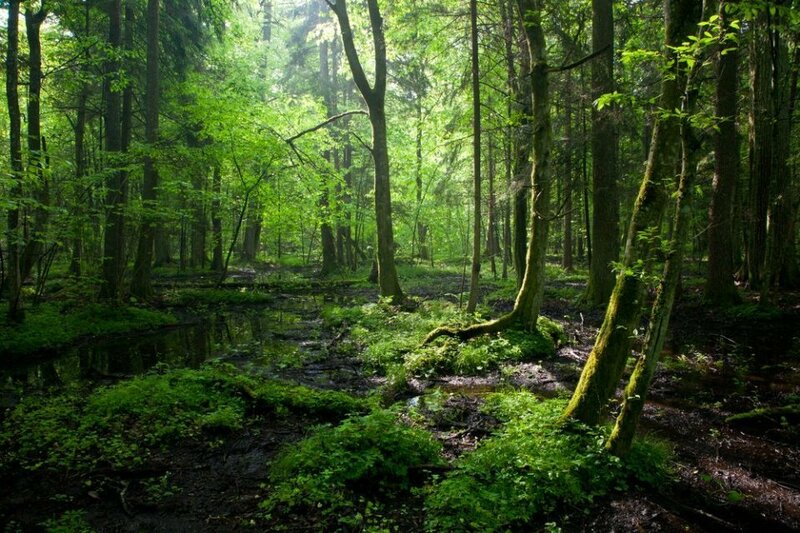 Białowieża Forest, which covers an area of 1,900 sq km (724 sq mi), is the last remnant of a primeval forest that once stretched across the European Plain, and which was a royal hunting preserve from the 15th century up to 1917. The medieval practice of creating large hunting reserves for the aristocracy has preserved forests such as the Epping Forest, the Forest of Bowland, the New Forest, and Sherwood Forest in England, and elsewhere in Europe such as the Białowieża Forest between Belurus and Poland. An anecdote from the time of British rule in India, relates that after concerns about the numbers of poisonous snakes, the government in Delhi offered a reward to anyone who produced a dead cobra. The policy worked at first, but then enterprising individuals started to breed cobras for cash. When the government realised this, the bounty payment was ended, but this led to the cobra farmers releasing their crop of snakes into the wild. The gave rise to the term, the Cobra effect, when an attempted solution to a problem actually makes the problem worse. Kudzu, a perennial vine native to Southeast Asia was introduced in the South-eastern United States in 1876 as an ornamental plant and it later used as cattle fodder and a cover plant to prevent soil erosion. It is now estimated to cover three million hectares (7.4 million acres) and it has had a devastating effect on the environment. This has earned it the nickname ‘the vine that ate the South’. Cane toads, which are native to Central and South America, were introduced into Australia in 1935 in an attempt to control the native cane beetle, which destroyed sugar cane crops. Since their release however the toads have rapidly multiplied in population and now number over 200 million and have had a dramatic effect on native species. Also they did not have had the desired impact as they couldn’t climb the canes where the beetles lived. The four kilometre (2.5 miles) wide ‘demilitarised’ zone between North Korea and South Korea, is possibly the most militarised piece of ground on earth with minefields, bunkers, tunnels, razor wire and booby traps, watched over by hundreds of thousands of troops from each side backed up by artillery batteries and rocket launchers. But because it is so dangerous and off-limits, large parts of it have become an unintended wildlife sanctuary, with rare cranes, Asiatic bears and even endangered leopards and tigers finding refuge. DDT (or dichlorodiphenyltrichloroethane) whose insecticidal properties were discovered by Swiss chemist Paul Hermann Müller in 1939, was widely used with great success in the latter half of the Second World War to control malaria and typhus among civilians and troops. 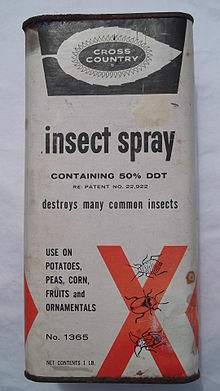 After the war its use as an agricultural insecticide increased dramatically, and it was considered such a breakthrough in crop treatment that in 1948 Müller was awarded the Nobel Prize in Physiology or Medicine ‘for his discovery of the high efficiency of DDT as a contact poison against several arthropods’. In 1962 however as a result of the publication of the book Silent Spring by American biologist Rachel Carson, which catalogued the environmental impacts of indiscriminate DDT spraying in the United States and the threat to humans and to wildlife, particularly birds, there was a large public outcry. This led in 1972 to a ban on the agricultural use of DDT in the United States followed eventually by a worldwide ban under the Stockholm Convention in 2004 (though with some exemptions). The publication of the book is regarded as a seminal event for the environmental movement. 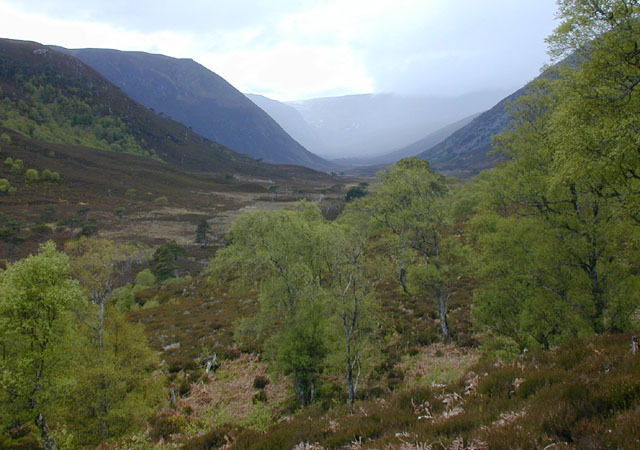 In Scotland, there has been an ongoing debate about the re-introduction of wolves, which were hunted to extinction there in the 1700s, in particular into a fenced area on the Alladale Estate in Sutherland. Opposition to the idea comes mainly from farmers who fear that wolves will attack their sheep and cattle. However recent research by Washington State University in the USA found that the more wolves were killed in Idaho, Montana and Wyoming, the greater the risk to local livestock of being eaten. The reason is that wolf killings disrupt the social cohesion of the pack, and this leads to more breeding. But the extra pups are more likely to be bound to one location rather than roaming more widely to hunt deer or elk, so they turn to livestock. Whilst Scotland is hardly like the northern Rocky Mountain states, the lesson here is that the indiscriminate culling of predators can backfire. In medicine, most drugs and many procedures have unintended consequences or ‘side effects’, but some effects are beneficial. The pain reliever, aspirin, is also an anticoagulant that can help prevent heart attacks and reduce the severity and damage from thrombotic strokes. Carbamazepine, a treatment for manic depression and convulsions, has side effects useful in treating attention-deficit hyperactivity disorder (ADHD), schizophrenia and post-traumatic stress disorder. And X-rays were originally used as an imaging technique, and still are, but the discovery of their ability to destroy cancer cells led to their use in radiotherapy. A survey of 100 specialists in the NHS in 2013 on the reporting of super-bug cases found that half thought large fines motivated people to declare fewer cases, with 47 per cent feeling pressure to under-report infections. The size of the fines is so great that they could be counter-productive, a perverse incentive.